Construction is now under way to expand and improve broadband to more than 1,600 locations in northern Florida. 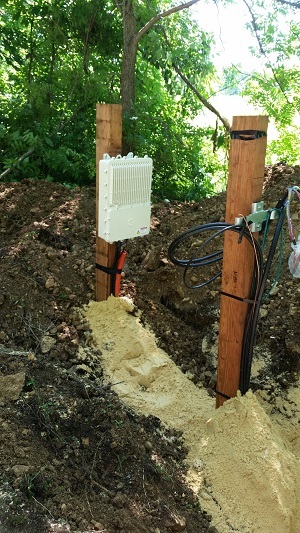 TDS Telecom (TDS®) began work in January in the Quincy area, with the project expected to be done by year-end 2018. The Federal Communications Commission (FCC) allocated $379,344 each year to reach residents in some of the hardest to serve areas in Florida. The funding will also be used to maintain a voice and broadband network as well as building out to these locations. The FCC’s Alternative Connect America Cost Model (A-CAM) will provide funding to more than 1,600 locations in northern Florida with hundreds of additional customers to receive benefits from the network upgrade work. Florida residents can visit the TDS website to find out how this federal program may impact their location. Depending on location, most TDS customers in eligible rural areas will receive guaranteed broadband speeds of 25Mbps download and 3 Mbps upload (25/3). Under the agreement with the FCC, the remaining customers will receive broadband service at lower speeds of 10/1 and 4/1Mbps. “We are excited to start work on this project to move faster connections to customers in the Quincy, Greensboro and Gretna areas,” said Tom McCabe, manager – State Government Affairs at TDS. TDS has been doing business in Florida since 1982 and owns one telephone company in the state. TDS employs 23 people in Florida.